19/07/13 -- Soycomplex: The market continues to add back in much of the nearby premium that was taken away when the Jul 13 bean and meal contracts expired. Strong demand for meal sees old crop US export sales now running at 99.9% of the USDA forecast for the season following yesterday's weekly report, the 5-year average for this time of the year is 88.7%. The word on the streets is that Argentine meal is getting lower in protein, probably as a result of lack of crop rotation after farmers there continue to grow beans on beans on beans, year after year. Hence demand for meal is switching to the US. This is also keeping nearby demand for US beans buoyant. New crop soybean sales are also doing well, currently standing at 33.7% of the USDA forecast for the 2013/14 marketing year versus the 5-year average of 23.0%. US weather forecasts remained non threatening judging by today's latest weather models. The GFS and EU model both seem to agree on the chances of cooler and wetter next week, which will aid soybean development. The NOAA apparently now forecast generally crop-friendly weather for the US Midwest to last into the autumn. The latest Commitment of Traders Report shows managed money increasing their net long position by 12,244 contracts for the week through to Tuesday night, bringing their total net long position to 124,432 contracts. On the day Aug 13 Soybeans closed at USD14.90 3/4, up 21 1/2 cents; Nov 13 Soybeans closed at USD12.74, up 8 1/4 cents; Aug 13 Soybean Meal closed at USD482.40, up USD12.00; Aug 13 Soybean Oil closed at 45.50, down 2 points. For the week as a whole Aug 13 beans rose 61 3/4 cents with Nov 13 up 16 3/4 cents, Aug 13 meal up USD39.50 and Aug 13 oil down 72 points. Corn: The central and western Corn Belt are in need of rain heading into the key corn pollination period across the next two weeks, and the current forecasts say that they are going to get it. "The HPC Medium Range forecast is very wet, due to the expectation an unstable front would stall out in the Midwest. Recurring showers and thunderstorms would bring at least one inch of rainfall, but locally 2 inches, over the next 5 days. The entire Midwest corn and soybean area would get meaningful rain. The 7-day HPC forecast is even wetter, predicting 1.5-2.5 inches of rain all together," say Martell Crop Projections. If the forecast rains do develop then that potentially pushes us one step closer to a record 13.7-14.0 billion bushel US corn crop in 2013, and with that comes the widely touted likelihood of new crop Dec 13 testing the recent 2 1/2 year closing low of USD4.91 1/4 set two weeks ago. The Argentine Ministry said that the corn harvest there is now almost over at 92% complete They surprised everybody by increasing their production forecast from 26.1 MMT to 32.1 MMT, far higher than the USDA's current 26.5 MMT estimate, and a record by some considerable distance. It remains to be seen if there may be political reasons in a forecast this high, is it to compensate for the country's lack of wheat? The Buenos Aires Grains Exchange only estimated Argentine corn production at 24.8 MMT. South Korea NOFI bought 165 TMT of corn from South Africa and the Black Sea region for Sep/Dec shipment. The Ukraine Economy Ministry said that their 2012/13 corn exports were 13.68 MMT and forecast that they will rise to 14.39 MMT in 2013/14. Ukraine's 2012/13 corn ending stocks were said to be 2.05 MMT, rising to 2.50 MMT by the end of 2013/14. On the day Sep 13 Corn closed at USD5.44, up 3 cents; Dec 13 Corn closed at USD5.00 3/4, unchanged. For the week that puts Sep 13 down 1 1/2 cents and Dec 13 down 8 1/2 cents. Wheat: The wheat market closed mostly firmer, with news that China had bought two cargoes of US SRW wheat overnight supportive. They were also said to have booked 600 TMT of Australian wheat for Jan/Mar shipment. That, along with earlier recent purchases from the US, Australia, Canada and France already puts them well on the way towards importing the 8.5 MMT of wheat in 2013/14, the highest in 18 years, that the USDA have them pencilled in to buy this season. Other trade estimates are now 10 MMT or even more. The Argentine Ministry cut their estimate for the 2012/13 wheat crop there from 9.0 MMT to just 8.5 MMT, well below the USDA's 10.0 MMT, highlighting just how tight stocks there are. A report on Reuters earlier this week said that domestic Argentine wheat prices were around USD406/tonne versus USD219/tonne at the turn of the year and only USD175/tonne a year ago. The Buenos Aires Grains Exchange said 87.4% of Argentina’s 2013/14 wheat crop has been planted versus 84% a year ago at this time. They estimated Argentina’s 2013/14 wheat area at 3.9 million ha, unchanged from previously and 8.3% up on last year. South Korea's NOFI bought 60 TMT of feed wheat, probably of Black Sea origin, for Nov shipment. Ukraine's Economy Ministry said that the country had exported 7.18 MMT of wheat in 2012/13, and would ship around 8.0 MMT in 2013/14. They said old crop ending stocks were 2.54 MMT and would be around 3.0 MMT at the end of the current new season. Russia said it had harvested 27.0 MMT of grains so far, including 21.9 MMT of wheat with yields of the latter up 24% on last year. 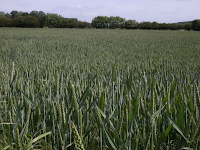 It is thought that yields could decline significantly once the harvest progresses into spring sown crops however. On the day Sep 13 CBOT Wheat closed at USD6.64 1/2, up 4 cents; Sep 13 KCBT Wheat closed at USD7.05, up 2 3/4 cents; Sep 13 MGEX Wheat closed at USD7.50 1/4, unchanged. For the week that puts CBOT wheat down 10 3/4 cents, with Kansas down 7 3/4 cents and Minneapolis down 46 cents. 19/07/13 -- EU grains were mixed in a relatively subdued session. 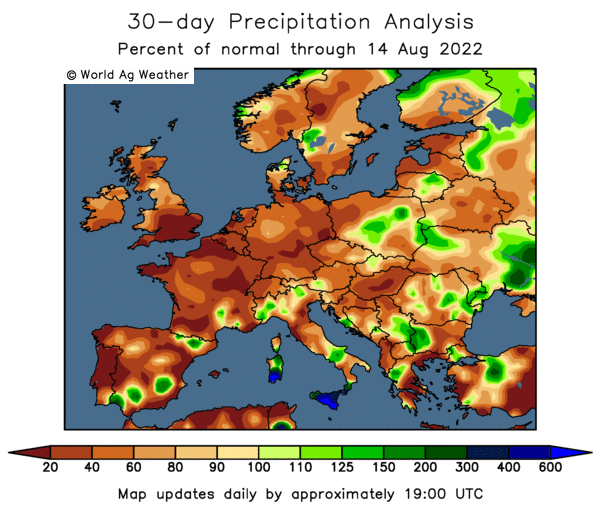 The market appears to be waiting for the European wheat harvest to get into full swing before a better assessment of quality and yields can be made. Meanwhile though wheat is grinding slowly lower. There's nothing slow about the demise of rapeseed however, that market has fallen more than EUR100/tonne in less than 3 months. London wheat closed with front month Nov 13 GBP0.60/tonne lower at GBP167.50/tonne and Nov 13 Paris wheat unchanged at EUR194.25/tonne. For the week that places London wheat GBP2.25/tonne easier, whilst Paris wheat shed EUR3.50/tonne. Paris rapeseed was on the end of another thrashing, closing EUR4.50/tonne lower on the day at EUR379.50/tonne on front month Aug 13 (the lowest close for a front month since October 2010), for a EUR12.00/tonne loss on the week. The problem with rapeseed, is not just that EU and world production seen higher in 2013 (after all it is also for wheat), it's where is the demand coming from now that Europe is planning to if not kill, at least partially maim, the two-headed biodiesel monster that it helped create. Processing plants are already closing, announcing plans to switch to other feedstocks, or running at sharply reduced capacity after the EU Parliament's environment committee recently voted in favour of limiting the share of food-based biofuel used in cars and trucks to 5.5% of total consumption from the 10% initially mandated. German trading house Toepfer estimated the wheat crop there at 24.24 MMT today, up 8.6% on last year. They also forecast German rapeseed production sharply higher at 6.04 MMT, an increase of more than 25% on output in 2012 - easily making them Europe's largest producer in 2013/14. Optimism is high that almost ideal ripening conditions in recent weeks will also mean that quality is good this year, they added. Toepfer estimated the EU-28 soft wheat crop at 134.2 MMT, up 7% on last year, and higher even than Strategie Grains' estimate of 133.4 MMT from yesterday. Wheat production in Romania, who won a share of this week's Egyptian tender, will leap almost 24% to 7.12 MMT this year they forecast. They see the UK wheat crop at 11.60 MMT and the rapeseed crop here at 1.95 MMT this year. FranceAgriMer said that this year's French soft wheat harvest is 3% done nationally, most notably in the Midi-Pyrenees (35%) and Aquitaine (26%) regions. Winter barley is 48% harvested, up sharply from only 5% a week ago, and even a little bit of spring barley has already been cut in the Centre region where harvesting is 7% complete. French corn showing 6/8 leaves visible is up from 88% last week to 92%, although only 1% of the crop is at the silking stage versus 25% this time last year. French wheat rated good/excellent fell two percentage points from last week to 67% (and versus 71% a year ago). Winter barley good/excellent was unchanged from last week at 66%, spring barley was down one point in the top two categories to 70%. Corn good/excellent was up one point to 57%. Ukraine's early grains harvest (excluding corn) currently stands at 21.2 MMT off 70% of the planned area with average yields up 29% on year ago levels at 2.83 MT/ha. This total includes 15.64 MMT of winter wheat, a small amount of spring wheat, 2.85 MMT of winter barley and 2.16 MMT of spring barley. Russia's grain harvest now stands at 27 MMT, with average yields up 24% on last year at 3.05 MT/ha, including 21.9 MMT of wheat and 2.2 MMT of barley. Yields on the latter are said to now only be 6.5% up on last year's very poor performance at 2.95 MT/ha and falling (a week ago the average was 3.86 MT/ha). China, who have been sniffing for Australian wheat all week, are now said to have bought ten cargoes equalling 600 TMT for Jan/Mar shipment. They also bought 120 TMT of US SRW wheat today to add to their recent wheat buying spree. 18/07/13 -- Soycomplex: Weekly soybean export sales of 702,300 MT were at the top end of expectations of 350-700 TMT, even so the market closed lower on an improved outlook for rain and cooler temperatures across much of the Midwest. Soybean oil remains friendless, tonight's close was a new multi-year low with Aug 13 settling at the lowest for a front month since October 2010. Meal is therefore having to "balance the books" when it comes to crush margins. Oil World estimated 2013/14 global palm oil output at a record high 58.2 MMT, up 4.4% from 2012/13. Argentina's Ag Ministry estimated their 2012/13 soybean crop at 49.0 MMT, down 1.2 MMT from a previous estimate of 50.2 MMT. Ag Canada estimated the 2013/14 canola crop there at 14.6 MMT versus previous estimate of 14.1 MMT and up almost 10% compared to the 2012/13 crop of 13.31 MMT. The trade feels that the current USDA soybean acreage estimate is too high, and notes that around 10% of this year's area is supposed to come from double cropped wheat acres. Wheat harvesting in some states, most notably Ohio, is running well behind schedule. Demand from China remains robust, but the USDA's forecast for them to import 69 MMT in 2013/14 still looks a very tall order. That means that they need to by 4-5 soybean cargoes every single working day of the year to hit that target. Sinograin today forecast China's 2013/14 imports at 64 MMT. Aug 13 Soybeans closed at USD14.69 1/4, down 8 1/4 cents; Nov 13 Soybeans closed at USD12.65 3/4, down 17 3/4 cents; Aug 13 Soybean Meal closed at USD470.40, up USD1.30; Aug 13 Soybean Oil closed at 45.52, down 27 points. Corn: Weekly export sales of 152,900 MT of old crop and 1,590,800 MT of new crop were supportive. Trade estimates were for 1-200 TMT of old crop and 1.0-1.4 MMT of new crop. China took over 1.2 MMT of the new crop. The trade also feels that the USDA corn acreage estimate is too high, and will need to be revised lower in due course. For now though a largely benign weather forecast is non threatening. "The 12z run of the GFS model is wetter than previously indicated. This is the latest forecast available from the National Weather Service valid 7 am CDT this morning. Midwest cumulative rainfall for the 5 consecutive days Friday-Tuesday, July 18-22, would be mostly 0.75-1 inch in the driest growing areas - Iowa, southern Minnesota, South Dakota, Nebraska, Missouri, western Illinois and western Wisconsin," said Martell Crop Projections. MDA CropCast cut their world corn production forecast by 0.4 MMT to 918.2 MMT, although that's still almost 100 MMT up on last year. "Rains this week in the north central and eastern Midwest will improve moisture there for corn, although some dryness will persist in southwestern areas. Rains in central and southern North China Plain this week will ease dryness there. Widespread rains in Mexico this past week further improved moisture for corn and sorghum," they said. Ag Canada estimated corn production there at 13.15 MMT versus a previous estimate of 13.8 MMT and compared to the 2012/13 crop of 13.06 MMT. South Korea bought 55 TMT of optional origin corn for arrival by Nov 1st. They are also in the market for 70 TMT of optional origin corn for August shipment. Sep 13 Corn closed at USD5.41, up 2 1/2 cents; Dec 13 Corn closed at USD5.00 3/4, down 1 1/4 cents. Wheat: Weekly export sales of 996,600 MT were actually at the low end of trade expectations, given that a large sale to China had already previously been reported. Brazil was the other main buyer, they are having to turn their attention to US wheat after Argentina put the blocks on further exports as old crop supplies there run low. Egypt's GASC bought 300 TMT of wheat for August shipment, their largest purchase so far this year. The total included 120 TMT each from Russia and Romania, along with a further 60 TMT from Ukraine. Strategie Grains estimated the EU-28 2013/14 soft wheat crop at 133.4 MMT versus previous estimate of 131.5 MMT and up 6% on last year. They also placed EU-28 soft wheat exports at a record 22.3 MMT, up a rather large 4.6 MMT from their previous forecast. "This sharp increase can be attributed to high global demand in 2013/14 and the current very competitive position of EU wheat on the market against the other origins," they said. Romania is part of Europe I suppose. Strategie Grains estimated Egypt’s 2013/14 wheat imports at 8.0 MMT versus a previous estimate of 7.0 MMT. Ag Canada estimated the all wheat crop there at 29.2 MMT versus a previous estimate of 29.4 MMT and compared to the 2012/13 crop of 27.2 MMT. All wheat exports were pegged at 18.7 MMT versus a previous forecast of 18.9 MMT and 18.6 MMT in 2012/13. MDA CropCast cut their world wheat production forecast by 0.3 MMT from last week. Reductions for the US and Kazakhstan outweighed increased for the EU and Australia. South Korea's NOFI seek 60 TMT of optional origin feed wheat for November shipment. South Korea also bought 35 TMT of Australian wheat for October shipment. Sep 13 CBOT Wheat closed at USD6.60 1/2, down 4 1/2 cents; Sep 13 KCBT Wheat closed at USD7.02 1/4, down 1/2 cent; Sep 13 MGEX Wheat closed at USD7.50 1/4, down 5 cents. 18/07/13 -- EU grains were mostly lower on continued harvest pressure and weaker US markets. Fresh news was relatively thin on the ground. Benchmark Nov 13 London wheat closed GBP0.30/tonne weaker at GBP168.10/tonne, with Jan 14 down GBP0.10/tonne to GBP169.50/tonne and Nov 13 Paris wheat settling EUR0.25/tonne easier at EUR194.25/tonne. French analysts Strategie Grains raised their forecast for EU-28 soft wheat production this year from 131.5 MMT last month to 133.4 MMT this time round, an increase of 6% on last year. Including durum wheat they now have this year's all wheat crop at 141.6 MMT, far higher than the USDA's 138.6 MMT and the largest in 5 years. Production increases in France, Germany and the UK, the EU's top three wheat producing countries, as well as Bulgaria, Romania and Spain were behind the hike, say Agrimoney.com. They also upped the EU-28 barley crop from 56.1 MMT last month to 57.3 MMT, a 5% increase on last year. Corn production however was trimmed slightly from 66.0 MMT to 65.9 MMT, although that is still well above year ago levels. Early reports out of France suggest that wheat protein levels on what has been harvested so far are below expectations. Egypt's GASC were in the market for wheat today, tendering for only the second time since February and the first since President Mursi was ousted. They ended up buying five cargoes (300 TMT) from Russia, Romania and Ukraine at prices ranging from around USD247-249/tonne. Black Sea wheat is clearly the cheapest option for many at the moment, but then again it usually is at this time of year. In Russia the wheat harvest is said to be already over in the southern state of Krasnodar, and 95% done in Stavropol. Yields are higher, although they didn't have a lot to beat in last year's poor performance, and they are tailing off. 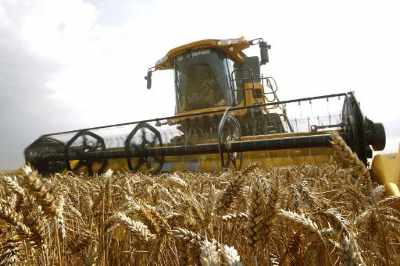 The total gathered so far is 26.4 MMT of grain, of which 21.4 MMT is wheat with yields averaging 3.21 MT/ha. That's up 25% on last year, but just yesterday average yields were 27% more than a year ago. Barley yields are now only up 8% on 2012's disappointing result, yesterday that was running at 11%. The Russian republic of Tatarstan has declared a state of emergency due to drought covering 80% of the region. Grain production there is forecast to be even lower than last year. Russia sold 10,665 MT of intervention grain in today's regular twice-weekly sale, that brings the total sold so far since sales began in October to 3.7 MMT. MDA CropCast forecast the 2013 world wheat crop at 670.7 MMT, down 0.3 MMT on last week "due to acreage adjustments in U.S. and Kazakhstan spring wheat areas." They also cut the world corn crop by 0.4 MMT to 918.2 MMT "due to dryness in Italy and earlier wetness in Poland." EU weekly barley export licenses came in at 302 TMT, the most since June 2005. Soft wheat export licenses were issued for 299 TMT which was also pretty respectable and brings the total so far this season to 591 TMT. 17/07/13 -- Soycomplex: The market was narrowly mixed, with beans closing only a few cents either side of unchanged. The nears remain tight on lack of domestic availability and ideas that this season's US crop will be late due to delayed plantings. Lanworth Inc lowered their forecast for that from 3.360 billion bushels to 3.315 billion. They also cut their world soybean production forecast from 284 MMT to 283 MMT. There are reports that a Brazilian soybean cargo is on the way to the US port of Wilmington, North Carolina. Taiwan made no purchase in tender to import 60 TMT of Brazilian beans for October shipment. The USDA announced the sale of 165 TMT of new crop soybeans to China. We are in the grip of the usual summer weather market. "A Canadian cool front will descend into the Midwest Friday, ending a heat wave and triggering scattered showers. There continues to be disagreement on how much rain would occur in the Midwest. The HPC Medium Range Forecast is drier, once again, than the automated GFS model forecast. I’m going with the wetter forecast, the GFS model. Even though the cool front would sink rapidly south through the Midwest, it is still capable of triggering strong thunderstorms. The atmosphere is very humid and unstable - ripe for showers," say Martell Crop Projections. Forecasts for tomorrow's weekly export sales report for beans are 350-700 TMT. Aug 13 Soybeans closed at USD14.77 1/2, up 2 1/4 cents; Nov 13 Soybeans closed at USD12.83 1/2, down 2 3/4 cents; Aug 13 Soybean Meal closed at USD469.10, up USD2.30; Aug 13 Soybean Oil closed at 45.79, up 8 points. Corn: Some of the disagreement that had been in place yesterday, between the EU weather model (warm and dry) and the US weather model (cooler and wetter) disappeared, with the former falling more into agreement with the latter. That was enough to send corn prices lower, even though Lanworth cut their forecast for US corn production this year from 13.90 billion bushels to 13.65 billion (still a record). They reduced world output by 5 MMT to 956 MMT. China's crop was trimmed slightly, from 217 MMT to 216 MMT. Despite a cooler, wetter US weather outlook, some crop damage may have already been inflicted. "Delayed planting dates, shallow rooting from a wet spring, and irregular development from a strung out planting campaign argue for a reduced yield in corn and soybeans. Not all the intended acreage was planted in the northern areas, because of relentless rains," said Martell Crop Projections. A report on Agrimoney says that Societe Generale said "that it might lower its estimate for the US corn crop to 13.4m bushels, from a forecast made last month of 13.9m bushels." They particularly note "significant problems in portions of Iowa." Rainfall April-June was “much above normal” to “record wettest” in Iowa, Illinois, Minnesota and Wisconsin, noted Martell Crop Projections. Weekly US ethanol production fell to 876,000 barrels/day from 881,000 bpd last week. South Korea bought 60 TMT of Black Sea origin corn for Dec shipment. Trade estimates for tomorrow's weekly export sales report are 1-200 TMT of old crop and 1.0-1.4 MMT of new crop. Sep 13 Corn closed at USD5.38 1/2, down 6 3/4 cents; Dec 13 Corn closed at USD5.02, down 8 3/4 cents. Wheat: Spillover weakness from corn was enough to send the wheat market modestly lower, despite the prospect of large Chinese buying in 2013/14. A report on Reuters suggested that 20 MMT of their recently harvested winter wheat crop may only be suitable for feed use, double earlier estimates. Imports could now exceed 10 MMT making them the largest wheat buyer in the word, the report suggested. China are currently said to be actively seeking "at least" 500 TMT of Australian wheat for Jan/Mar shipment. South Korea bought 42,300 MT of US wheat for Sept shipment, switching their attention to Australia for Oct/Nov where they also bought 40 TMT (Australian availability is now said to be tight until new crop comes in). Jordan bought 100 TMT of Black Sea/EU origin wheat for December delivery. Iran is said to have agreed a barter deal with Pakistan to take USD9 billion worth of wheat and rice in exchange for electricity. Pakistan's annual wheat production and consumption are currently running at similar levels, the deal may see them need to import more wheat themselves. They have been quite active buyers of late, booking at least 250 TMT of Black Sea wheat in the first couple of weeks of the month. Lanworth Inc raised their world wheat production estimate by 2 MT to 694 MMT. That included a Canadian crop of 29.8 MMT, which would be their highest output since 1991. Argentina are forecasting a 12 MMT wheat crop later this year, up from 9 MMT last year, but short of early official forecasts that a sharp rebound in plantings could see production in the 14.0-14.5 MMT region. Trade estimates for tomorrow's weekly export sales report are 1.0-1.3 MMT reflecting sales to China already known. Sep 13 CBOT Wheat closed at USD6.65, down 4 1/2 cents; Sep 13 KCBT Wheat closed at USD7.02 3/4, down 1 cent; Sep 13 MGEX Wheat closed at USD7.55 1/4, down 3 3/4 cents. 17/07/13 -- EU wheat closed mixed. A stronger pound weighed on London wheat, following news that the BoE voted 9-0 earlier this month to keep QE unchanged versus a 7-2 split on June. UK unemployment also fell 57k, said the ONS. Nov 13 London wheat ended the day GBP0.10/tonne lower at GBP168.40/tonne and with Jan 14 also closing down GBP0.10/tonne at GBP169.60/tonne. Nov 13 Paris wheat rose EUR0.50/tonne to close at EUR194.50/tonne. Without doubt the most bullish news around seems to be emanating from China. A report on Reuters today now suggests that 20 MMT of their domestic 2013 wheat crop may have been downgraded to only being suitable for feed usage after winter frosts and harvest time rains took their toll. That's up from the 10 MMT previously suggested. There is now trade talk of Chinese wheat imports of more than 10 MMT this season, far higher than the 3.2 MMT imported in 2012/13 and above the USDA's revised 8.5 MMT forecast of last week. That would suddenly make them the largest wheat buyer in the world. Yields were said to have been down as much as 40% in some regions, suggesting that this may also be a quantity problem as well as a quality issue. That theory is backed up by the fact that they are also buying corn as well as wheat on the international market. They are also said to be currently in negotiations with Australia to buy a further 500 TMT of wheat, in addition to recent purchases from them, the US and France. Old crop Australian wheat stocks are said to be running low, ahead of the harvest which is due to begin around late October, early November. South Korea today bought US wheat from Toepfer for September shipment, but switched to Australian origin material for Oct/Nov shipment. Staying with the Southern Hemisphere, Argentina have also hung up the "sold out" sign until they begin harvesting wheat at around the same time as Australia. Brazil are said to therefore be being forced to cast their import net further afield. The Russian wheat harvest in the southern region of Krasnodar is said to be over. Production is thought to be 7.1 MMT, with yields up 25% at 5.2 MT/ha. On a national level the 2013 harvest is currently said to total 25.4 MMT, off 18% of the planned area, with average yields 24.5% higher than a year ago at 3.1 MT/ha. Barley yields however are only 11% up on last year's disaster. There are strong reports though that spring sown crops in particular will bring these figures down sharply. A state of emergency is said to have been introduced in the Perm region because of drought. Wheat production potential in Kazakhstan is also being downgraded, although Ukraine largely seems to have escaped the melee and grain production there this year could test the previous record of 56.7 MMT set two years ago. EU harvest pressure is seen capping any rally attempts for the time being. Cheap Eastern European and Ukraine wheat supplies may weigh on market sentiment, and prices, for the next few months. A strong pick up in Chinese demand, and the possibility of Russian yields dropping off as the harvest there progresses could offer support however. 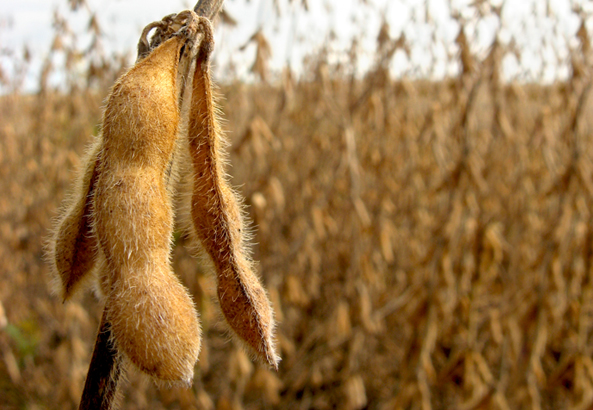 16/07/13 -- Soycomplex: The market closed sharply higher, adding to yesterday's gains, with the nears supported by strong demand and the cash basis at or near record levels. For soybeans we still have a picture of "jam tomorrow" - but tomorrow isn't today is it? Oil World said that China will import a record 7 MMT of beans this month versus the 5.87 MMT imported in July 2012. They also said that China’s soybean stocks will fall to a 4 year low of 8.0 MMT at the end of July versus 11.8 MMT a year ago. They estimated the 2013/14 global soybean crop at 284.22 MMT up 6.8% from 2012/13 and 14 MT higher than world consumption. Michael Cordonnier left his estimate for the 2013 US soybean yield unchanged at 42.0 bu/acre. There are conflicting weather forecasts for the US, with the European model saying hot and dry and the US model predicting cooler and wetter conditions. Last night's two point drop in soybean good/excellent ratings was supportive and unexpected, no change is what the market was anticipating. So too was yesterday's NOPA crush numbers, which suggest that the USDA is around 15 million bushels too low on their crush estimate of 1.66 million bushels this season. Aug 13 Soybeans closed at USD14.75 1/4, up 21 1/2 cents; Nov 13 Soybeans closed at USD12.86 1/4, up 22 1/2 cents; Aug 13 Soybean Meal closed at USD466.80, up USD15.30; Aug 13 Soybean Oil closed at 45.71, down 13 points and a new 33 month low for a front month. Corn: The corn market closed higher, essentially reversing yesterday's losses on the surprise news after the close last night that good/excellent crop ratings fell two points to 66%. The trade was looking for conditions to hold steady near 68%. "In the Great Plains, good-excellent corn shrank by 5% or more in Nebraska, Kansas, North Dakota and Texas. Drought has worsened over the past 3 weeks with a stubborn ridge of high pressure. Nebraska, the 3rd leading US corn state, lost 5% in the good-excellent category, the top rated corn now 71%. Kansas corn conditions worsened to 40% good-excellent a 9% decline in just one week. Growing conditions in the heartland were not only dry, but also very hot," said Martell Crop Projections. Also supportive was news that only 16% of the crop was silking as of July 14th, up from 6% last week but down sharply from the 5-year average of 35%. Michael Cordonnier left his estimate for 2013 US corn yield unchanged at 153.0 bu/acre. Weather developments will dictate market direction for the coming weeks with the trade nervous that this year's crop will all be pollinating at the same time, and mindful of what happened last year. Taiwan tendered for 60 TMT of optional origin corn for October shipment. The weekly ethanol production numbers are out tomorrow. Last week’s grind was reported at 881,000 barrels/day. Sep 13 Corn closed at USD5.45 1/4, up 9 cents; Dec 13 Corn closed at USD5.10 3/4, up 7 1/4 cents. 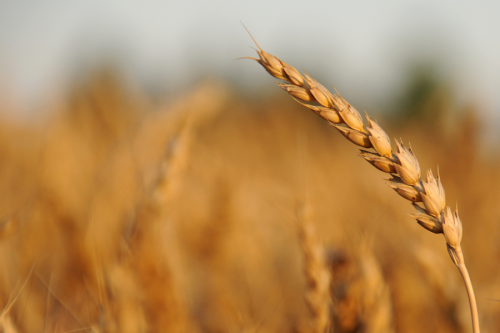 Wheat: The wheat market was flat to slightly firmer. US wheat was "miles out" in the Iraqi wheat tender, offered at USD403 CIFFO versus Black Sea quotes of around USD302/310 from Russia, Romania and Ukraine. Significantly Canadian and Australian wheat were also much cheaper options at USD352 and USD360 respectively. Japan are tendering for their usual weekly purchase, this tie for 112 TMT split 49 TMT US origin along with 36 TMT of Canadian and 27 TMT of Australian wheat. US white wheat is still excluded following the Oregon GMO scare. A storm with strong winds, heavy rain and hail is said to have damaged crops in southwestern Manitoba. Stats Canada are out tomorrow with their July crop production estimates. According to a Reuters poll the all wheat average estimate is 29.7 MMT, from within a range of estimates of 27.4-30.0 MMT. Last month's estimate was 29.4 MMT and the 5-year average is 26.3 MMT. Production at the top end of the scale would be the largest crop since 1996/97. Talk that Brazil could import up to 3 MMT of wheat from outside the Mercosur trade group this year due to the supply shortage in Argentina is supportive. The Kazakh Ag Ministry suggested that this year;s wheat crop there might only come in at 13.5 MMT, which is not much better than last year's production and 1 MMT below the current USDA estimate. Sep 13 CBOT Wheat closed at USD6.69 1/2, unchanged; Sep 13 KCBT Wheat closed at USD7.03 3/4, up 2 3/4 cents; Sep 13 MGEX Wheat closed at USD7.59, up 4 cents. 16/07/13 -- EU grains were mixed in a relatively subdued and low volume session. Harvest pressure weighs, although ideas that the Russian crop might not be as high as official estimates suggest is supportive. London wheat closed with front month Nov 13 GBP0.55/tonne firmer at GBP168.50/tonne and Nov 13 Paris wheat ended unchanged at EUR194.00/tonne. 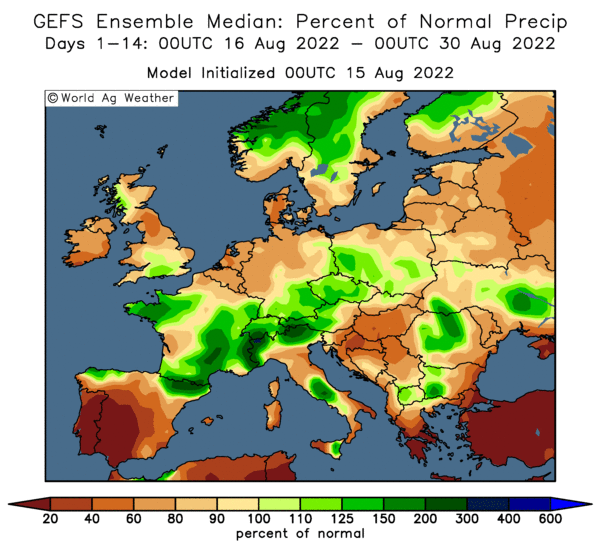 The French wheat harvest is off to a stuttering start, rain forecast for the end of the week may further stall that, although it will be of benefit to corn. Reports suggest that a boat waiting to load new crop wheat to Algeria is slow to fill. UK customs data shows May wheat exports at 54 TMT, up from 32 TMT in April, but well behind year ago levels. Cumulative exports one month short of the 2012/13 marketing year now stand at 667 TMT, less than a third of the 2.48 MMT that had been exported this time a year ago. Barley exports currently stand at 377 TMT, less than half of last year's 788 TMT. OSR exports to the end of May are 716 TMT versus 1 MMT in 2011/12. Wheat imports meanwhile were 298 TMT in May and total 2.68 MMT for the season to the end of that month, that's 325% of the volume shipped in during 2011/12 at the same time. Corn imports are 1.49 MMT versus 887 TMT a year previously. Ukraine's Grain Association head says that the country may harvest a record 57 MMT of grains this year, and exports could reach 29 MMT, also an all time high. Their spring planted corn crop is well developed heading into the flowering stage and generally in good condition, say the local Ag Ministry. Kazakhstan's Ag Ministry say that this year's grain crop could total 15 MMT, up from 12.9 MMT last year but only falling into the "average at best" category. They produced a crop of 27 MMT two years ago. The President of Russia's Tatarstan Republic, the fifth largest grain producing region in the country, says that production this year will only be half of original expectations at 2.5 MMT, and even fall below last year's poor result due to acute drought. Jordan bought 50 TMT of Black Sea origin barley at USD280.75 C&F for Feb shipment. The lowest offer in an Iraqi tender for wheat was said to be Russian origin at USD302/tonne CIFFO. Other Russian quotes were as high as USD307/tonne, Romanian wheat was offered at USD307-309/tonne, with Ukraine wheat just behind that at around USD310/tonne. The tender was for 50 TMT but they usually buy significantly more, the results are expected in the next few days. Whet yields in Hungary are said to be averaging 4.6 MT/ha, up 23% versus last year's 3.74 MT/ha, with harvesting 38% complete. 15/07/13 -- Soycomplex: The market began the week with new front month Aug 13 beans putting back in some of the nearby premium that the expiry of the Jul 13 contract took away on Friday. The June NOPA crush number of 119.1 million bushels was supportive, although down 3.5 million on May it was above the 115-117m that the trade was expecting. Only 105m/month was needed to hit the USDA target for domestic demand for the season. Weekly export inspections of 3.670 million bushels were up from 2.481 million the previous week. That's hardly spectacular, but nor do they need to be given the frenetic early season pace of US exports. After the close the USDA cut good/excellent US soybean crop ratings by two percentage points to 65%. Poor/very poor was up one point to 8%. Of the major states Iowa is perhaps displaying the worst crop conditions at 12% poor/very poor. The late planted crop is only 26% at the blooming stage versus 40% normally and 63% a year ago. "The Medium Range forecast centre, a branch of the US National Weather Service, predicts a drier week ahead in the US heartland. They see a more persistent ridge of high pressure warding off heavy showers in Nebraska, Iowa, Kansas, Illinois and Missouri," say Martell Crop Projections. Aug 13 Soybeans closed at USD14.52 1/2, up 23 1/2 cents; Nov 13 Soybeans closed at USD12.62, up 4 3/4 cents; Aug 13 Soybean Meal closed at USD451.20, up USD8.30; Aug 13 Soybean Oil closed at 45.81, down 41 points. The latter was the lowest close for a front month in Soybean oil since October 2010 - 33 months ago. Corn: The corn market fell, despite the USDA reporting the sale of 120 TMT of new crop US corn to unknown, possibly China. Weekly export inspections of 16.280 million bushels were up from 8.20 million the previous week, although last week was a particularly uninspiring week. Cumulative inspections for the marketing year now total 606 million bushels, leaving a weekly average of 13.4 million now needed to hit the USDA target for the season. All eyes are now on how the 2013 US corn crop is developing. Slowly is the answer to that. The USDA said that only 16% of the crop is at the silking stage after the close, well below 35% for the 5-year average and 67% this time last year. As with soybeans, good/excellent crop conditions also fell two percentage points from last week to 66% and poor/very poor rose one point to 9%. China’s Q2 GDP came in at 7.5% overnight, down versus Q1 but in line with economists’ estimates. Last week's large Chinese sales are supportive for corn, but the spectre of a potential 14 billion bushel crop if the weather plays ball isn't. Weather across the next few weeks will now be critical, with a large percentage of the US crop all likely to be pollinating at the same time. Current weather forecasts are relatively non-threatening with Midwest temperatures mostly in the mid-80 to 90′s this week. The occasional mid-90 level may be reached in areas of NE and KS. Sep 13 Corn closed at USD5.36 1/4, down 9 1/4 cents; Dec 13 Corn closed at USD5.03 3/4, down 5 1/2 cents. Wheat: The wheat market closed lower on all three exchanges, with corn offering little support Weekly export inspections of 24.45 million bushels were respectable, even if down a little on last week's 28.837 million. Western Australia reportedly got some decent rain over the weekend. Harvesting in Ukraine and Russia is rumbling on, with early yields well up on year ago levels so far. The Russian Ministry pegged 2012/13 grain exports at 15.72 MMT, down 42% on a year previously. They say 2012/13 ending stocks were 7.2 MMT and, for now, are standing by their estimate of production of 95 MMT this season. With consumption in 2013/14 estimated at 70.1 MMT and exports of 20 MT they see carryout at the end of this season rising to 12.8 MMT. The Ukraine grain harvest is now said to be at 18.8 MMT, including 14.6 MMT of winter wheat. Yields on the latter are said to be averaging 3.11 MT/ha, up 32% versus 2.35 MT/ha this time last year. The US winter wheat harvest is progressing slowly but surely, up ten points from last week to 67% complete, versus 71% for the 5-year average. Ohio is only 28% done versus 82% normally, whilst South Dakota hasn't even started compared to 76% cut this time last year. Spring wheat headed is 71% versus 73% normally. Spring wheat crop conditions fell two points in the good/excellent category to 70%. Traders now say that Algeria's wheat purchase of last week, originally reported as 4-500 TMT, was probably more like 575 TMT. Sep 13 CBOT Wheat closed at USD6.69 3/4, down 11 1/4 cents; Sep 13 KCBT Wheat closed at USD7.01 1/2, down 7 cents; Sep 13 MGEX Wheat closed at USD7.54 3/4, down 11 3/4 cents. 15/07/13 -- EU grains were lower on harvest pressure and weaker US markets. 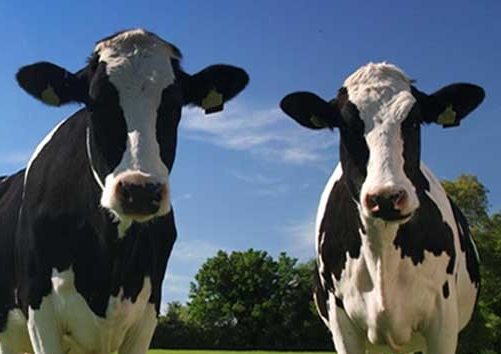 Benchmark Nov 13 London wheat closed GBP1.80/tonne weaker at GBP167.95/tonne, with Jan 14 also down GBP1.80/tonne to GBP169.15/tonne and Nov 13 Paris wheat settling EUR3.75/tonne easier at EUR194.00/tonne. 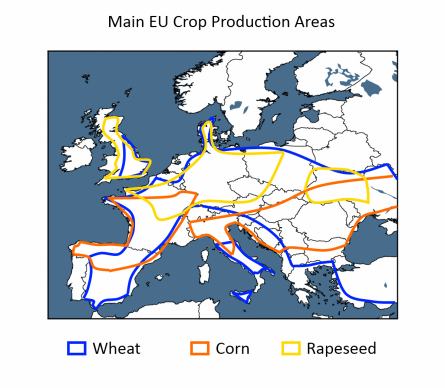 The hot and dry spell has brought EU crops forward, allowed them to dry out and further reduced disease pressure. 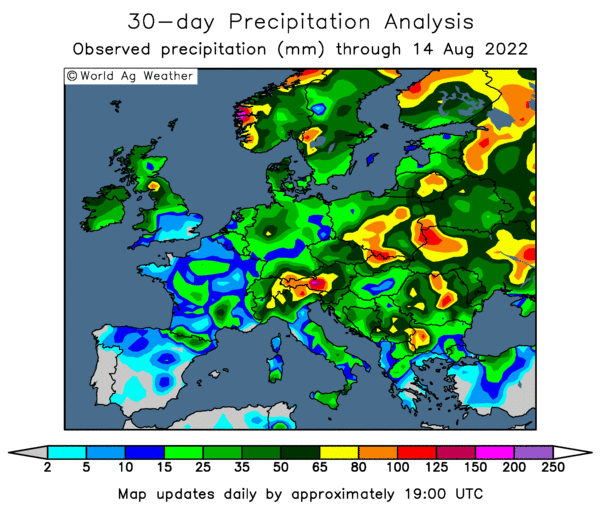 Hence, the wheat harvest is reported to be underway in France, due to begin any day now in Germany, and the first of the UK's winter barley has apparently also been cut across the weekend. It's too early to say how the UK barley harvest will turn out, but optimism is certainly a lot higher than it was a three or four months ago, and many crops are now looking very promising. The USDA are predicting a crop of 6.75 MMT here, up 22% versus 2012, boosted by a sharp increase in spring plantings. EU-wide they estimate production at 56 MMT, and for once they may be on the low side. The EU Commission forecast EU-28 barley output at 58.3 MMT (including around 200 TMT from new kid on the bloc Croatia), an increase of around 7% on last year. Harvesting in Ukraine is ongoing, and is now around the 15 MMT mark, including more than 10 MMT of wheat and almost 5 MMT of barley. 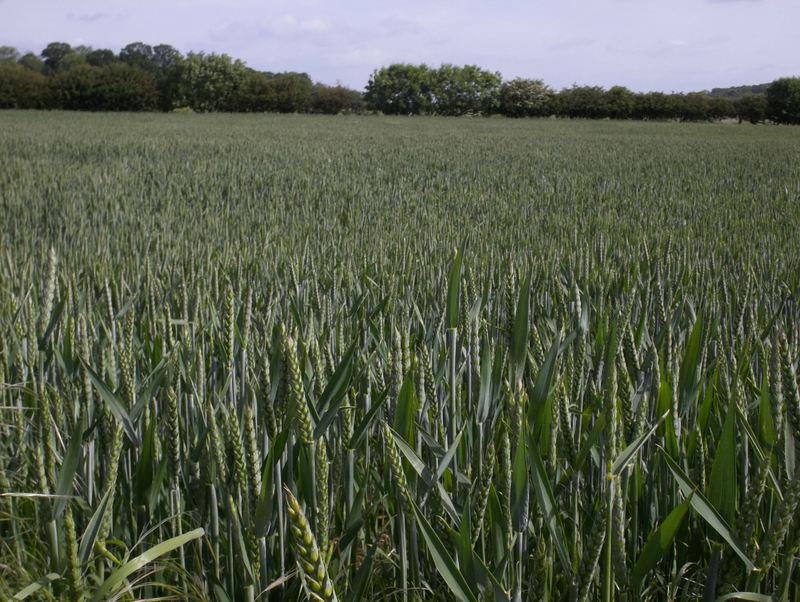 Average yields are said to be up from 2.0 MT/ha to 2.7 MT/ha, an increase of 35%. Grain exports for the 1-12 July period stand at just under 300 TMT, including 160 TMT of corn, 84 TMT of barley and 52 TMT of wheat. They are said to be currently loading a 90 TMT vessel, the Nord Pisces - one of the largest bulk carriers around, with feed barley destined for Saudi Arabia. The Ministry are forecasting total Ukraine grain exports at 26.0 MMT this year, a rise of 14% on last year. That in itself would be a record volume, although some estimates are in the 27-29 MMT region versus the previous record of 25 MMT in 2008/09. The Ukraine National Bank say that foreign currency reserves are currently at a 6-year low, which will also serve to encourage exports. Russia finished 2012/13 exporting 15.72 MMT of grains, say the Ag Ministry. That's a drop of 42% on the 27.2 MMT exported in the previous marketing year, before last season's drought struck. The Ministry say that if this season's wheat crop tops 50 MMT (the current official forecast is 54 MMT) then they will export 20 MMT of grains in 2013/14. That would be a rise of 27% on last year, although still well below the levels of two years ago. The Russian grain harvest currently stands at 21.4 MMT, including 17.9 MMT of wheat and 2.0 MMT of barley. Wheat yields are so far said to be averaging 3.26 MT/ha, up 28% on year ago levels, but these results are from the better areas in the south. Prospects look a bit bleaker further north and east, especially amongst the spring sown crops. There's unconfirmed talk of Russia possibly agreeing to supply Egypt with wheat on humanitarian grounds, or at least wanting to instigate a coordinated international move to do so, without any specific details being available. Paris rapeseed futures fell sharply for a third session in a row, also on harvest pressure and the outlook for a jump in production to a 3-year high of 20.4 MMT, as forecast by Oil World last week. That's a 5% improvement on output last year, and comes at a time when EU demand is seen slowing as plants close or run well below capacity on the outlook for a reduction in biofuel production due to probable legislative changes to the biofuel mandate. In addition, Ukraine, the EU's leading foreign supplier of rapeseed, is seen having a jump of around 50% in output this year to 2 MMT. 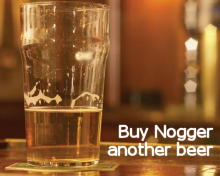 Around 70% of their crop would normally be heading for Europe. Aug 13 Paris rapeseed closed the day at EUR7.50/tonne, down EUR385.00/tonne and the lowest level for a front month since October 2010. 15/07/13 -- Rapemeal prices on the continent are lower today, although not as much as they might have been given steep declines in Chicago soymeal values on Friday night. Now there's one you don't see every day, which puts me strangely in mind of MrsN#1 for some reason, bless. We just drifted apart in the end. She fell asleep on a lilo on holiday in Corfu and I pushed her out to sea.